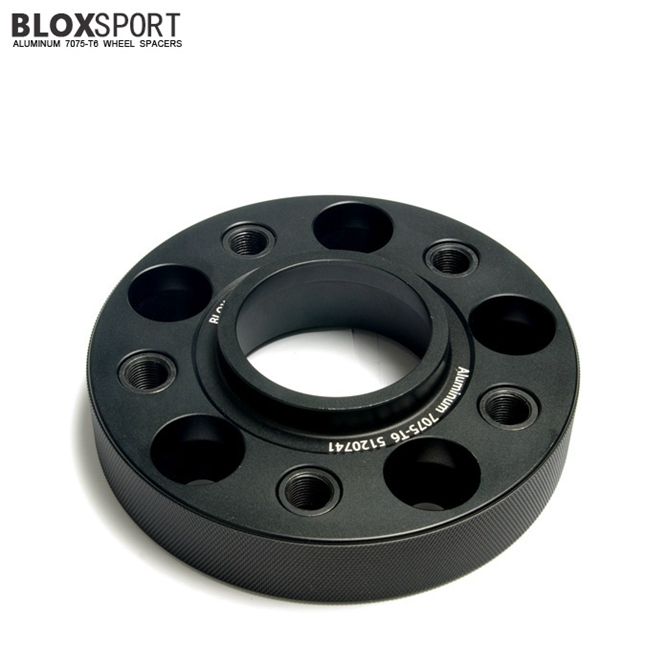 Privacy Notice : BLOXsport Wheel Spacers, Aluminun 7075-T6 Forged! BLOXsport respects your privacy and takes your online safety seriously. In order to provide you with the best products, efficient customer service, and timely updates, we record a variety of information from your visit to our site. To better protect your privacy, we provide the notice below explaining our online information practices and the choices you can make about the way your information is collected and used. Thank you for accessing the website ("Site") of BLOXsport(BLOXsport.com) (all references to "us" and "our" refer to BLOXsport.com ). We respect your privacy and want you to know about the policies we have in place to protect your personal information. This Privacy Notice applies only to this website and does not necessarily apply to personal information we collect from you offline. Please see the section on Offline Collection, Use and Disclosure of Information details. We are not responsible for the content or privacy practices on any website other than BLOXsport.com to which this Site links or that links to this Site. How does BLOXsport.com collect information about me? Email Addresses: Several locations on the Site allow you to enter your email address for purposes including but not limited to: registering for free promotional notices, requesting notification when new brands or product styles arrive, or signing up for our email newsletter. In addition, any participation in promotional contests organized by BLOXsport.com is completely voluntary and requires disclosure of contact information needed to notify winners and award prizes. We may post the names and cities of contest winners on our Site. This Site's cookies do not and cannot infiltrate hard drive to gather any confidential information. How does BLOXsport.com use my personal information? Communication with You: We will use your personal information to communicate with you about our Site and your orders. All customers must provide an email address to allow communication with BLOXsport.com regarding orders placed. We may send you a confirmation email after you register with us as well as service-related announcements as necessary (for example, temporary suspension of service for maintenance.) You may also submit your email address to request notification when we receive a new brand, product style or product, or to sign up for our email newsletter and special offers. You can unsubscribe or opt out of future emails at any time (see the Opt Out/Corrections section below for more details). Does BLOXsport.com ever give out my personal information? Third-party service providers: Like most online retailers, we sometimes use third-party service providers to perform specific functions on our behalf. Any information disclosed to them is solely to help in their provision of service. For example, we provide your name, shipping address, email and phone number to partners such as DHL and UPS in order to guarantee delivery of your orders, and we may use relevant customer information in order to monitor the quality of the service of third party. How does BLOXsport.com secure information collected about me? What choices do I have regarding collection of BLOXsport.com of my information? To unsubscribe from emails you receive from BLOXsport.com, follow the unsubscribe link at the bottom of the email and select the option appropriate for you. Are children allowed to use BLOXsport.com? How does BLOXsport.com use and disclose information collected from me offline?